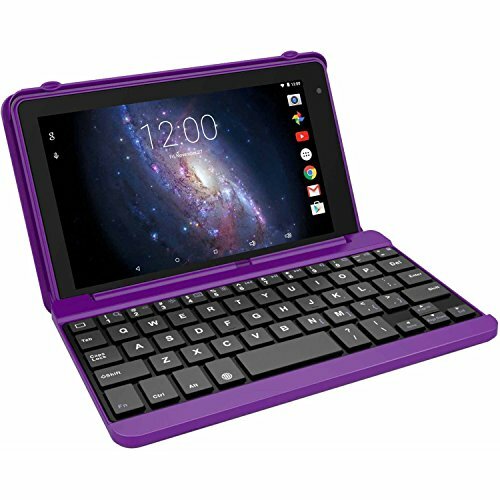 Introducing the RCA Voyager Pro 7-inch Google Certified Tablet with keyboard case. Operating on Android's sweetest operating system yet, Android 6.0 (Marshmallow), you can enjoy more of what the Google Play store has to offer. Use the included keyboard case to quickly compose emails, update social statuses and surf the Web. Share a smile with friends and family using the tablet's front camera. Use the tablet's built-in Bluetooth capability to connect and pair with compatible devices. Whether taking in a movie, playing a favorite game or surfing the Web, the RCA tablet's quad-core processor and 16GB flash-storage surely won't disappoint.